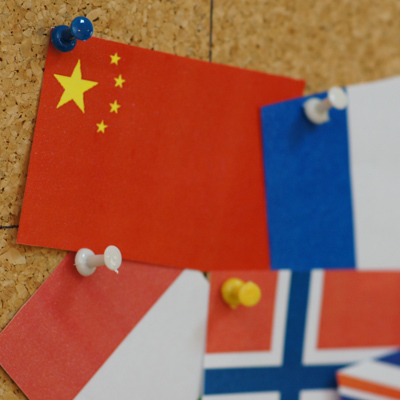 What results can you expect from international SEO? Developing a presence in international markets is a critical moment for any website. An international SEO consultancy focuses on achieving the optimal visibility in international search engines. Translation and localisation of content, selection of a particular hosting space, domain diversification structure, as well as other search engines’ peculiarities and user habits in other countries are all aspects that can have an enormous impact on the positioning of a website at an international level. Human Level has worked with international SEO for over 15 years, in over 10 languages and up to 38 different countries. We have our own expert consultants in international SEO and knowledge of the most spoken languages at a native level. The different versions of your website will not compete with each other in international search engines thanks to a correct information architecture. Instead, each version will focus and specialise in a particular language and/or market. The customisation controls of your content sorted by language or geolocation of your visitors won’t affect the indexability or generate duplicate content. The domain’s extension, the server’s geolocation, or the origin of inbound links giving popularity to a website will determine the international location of your website. As a consequence, your website will be able to compete in the SERPs of the most frequently used international search engines in your target countries for search queries made by your potential customers. It will rank in the top results for a large variety of terms and expressions related to your brand, products or services. Would you like to know more about the many possibilities of international SEO? What does an SEO consultancy for website internationalisation entail? If you’ve decided to expand your business presence to search engines used in other countries, hiring an SEO consultancy will prove to be useful in many different ways. It will enable you to be aware and bear in mind all conditions, which may influence the natural ranking of a website in the most used search engines by your potential customers of each country . Search engines like Yahoo!, Yandex, Baidu, Seznam, or Daum are just as popular in other countries as Google is in Spain. Should we translate our content or adapt it entirely to the new country? Should we host the new version of our website on the server we already have, or hire a new one in the country we are looking to expand our business to? Should we set up new content in a subdirectory, subdomain, or by adding a dynamic parameter that will indicate the language in the URL address? Is detecting the origin of a visit by its IP address and letting our server present the content in the appropriate language a good practice? How can we find links in a country we are not familiar with, or have little relations in? What character encoding it is best to employ when using a non-Latin alphabet? When you’re making the most important decisions during the process of your website’s localisation for international search engines, being able to count on the advice of SEO experts guarantees the ability to anticipate in each and every case their repercussion. This way, you can evaluate possible alternatives and ultimately choose the best option. What is the goal of an SEO consultancy for website internationalisation? In general terms, the primary goal of an international SEO consultancy is to take into account all the key factors which may have a bearing on the future positioning of a website in international search engines, that are employed by our potential customers living in the countries we intend to expand our business to. That the future website is easily accessible to be crawled by search engine robots from the target country: Yandex, Baidu, Seznam, Yahoo!, Voilá, Sapo… That is to say, we want to guarantee the indexability of your website by international search engines. That the translation and localisation of content is adequately optimised for search engines, focusing on obtaining the correct keyword density for terms most frequently employed by your potential users in search engines, and that these keywords are present in all the prominent areas of the pages. Being able to anticipate the repercussions there may be in the future on the international positioning of a website, motivated by easier programming, design, presentation or content management choices. This will enable us to evaluate possible alternatives and other solutions that will not endanger the website’s competitiveness in international search engines..
Human Level will participate in preliminary meetings alongside your marketing department and your design and web development company, before the website internationalisation process starts. We will offer our expert advice on the best options with regards to architecture, hosting, translation and localisation of content, programming, page structure, URL syntax, content management settings, programming language choice, etc. from an SEO point of view. Besides attending these meetings, our work as an SEO consultancy is to provide several deliverable reports, the content of which will depend on the requirements of the website. Keyword research for every language and/or market. We will identify the most common search patterns and behaviours, as well as usage statistics of different search engines. Initial recommendations report, including the selection of a domain, content customisation, URL syntax, website versions’ management by language and/or market, breadcrumb trail, control of content customisation by user profiles and its possible repercussions, etc. Architecture analysis, We will check if the architecture is in tune with the search hierarchy, and whether the names of menus and combinations of terms agree with the most common search patterns and behaviours. Template analysis. We propose recommendations for your template designs (outlines or prototypes), with regards to heading marks, anchor texts, download order of content blocks, etc. Indexability analysis. Once the website is published, we run our indexability analysis to check that our recommendations have been correctly interpreted and implemented, proposing additional improvements in necessary cases. Configuration of settings in the search engines webmasters’ tools: we will set up the correct configuration for each search engine, in order to ensure optimal indexing and crawling of your content in every country and language.